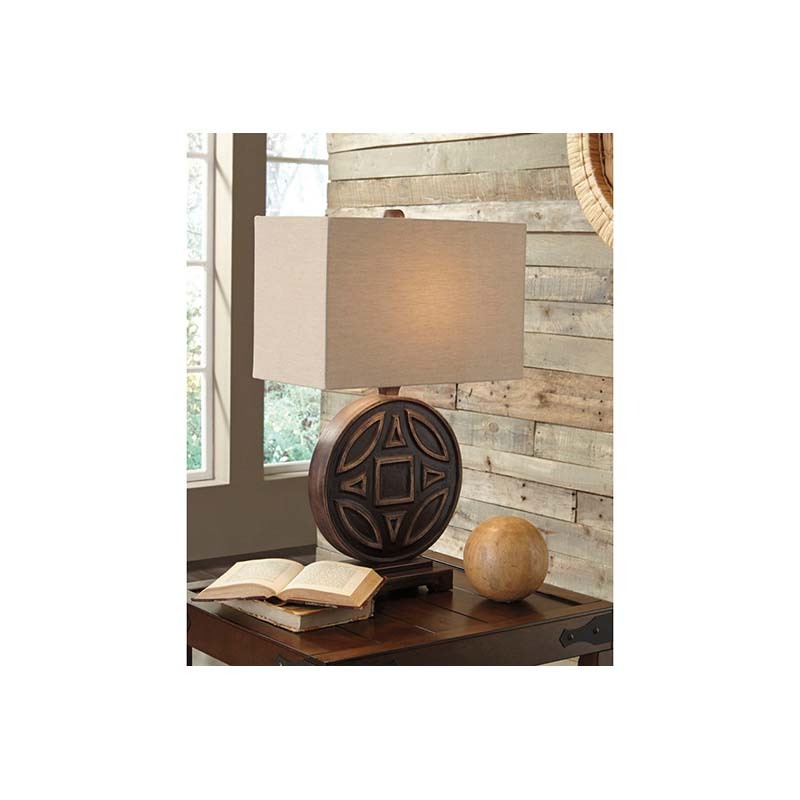 There's a sense of magic about Ashley's earthy Tabrimon Table Lamp. Replicating the appearance of an ancient amulet, its symmetric, wood base has rich texture and eye-catching character. This piece includes a rectangular hardback shade.